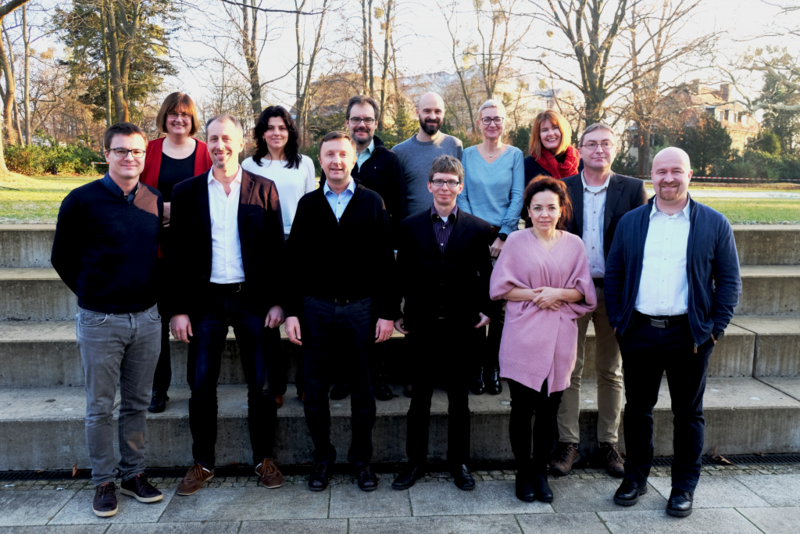 The LogicLab kick-off meeting took place on 22nd January 2019 at Harnack-Haus in Berlin. Thanks to all participants for teaming up and their contribution to discussions. From upper left to lower right: Amy Harms (University of Leiden), Lenie van den Broek (Mimetas), Benjamin Dietzek (Leibniz-IPHT Jena), Julien Guthmuller (Gdansk University of Technology), Malgorzata Baranska (Jagiellonian University of Krakow), Tia Keyes (Dublin City University), Frank Lehmann (Dyomics), Martin Presselt (SciClus), Sylvestre Bonnet (University of Leiden), Alexander Schiller (Schiller&Mertens), Johannes Schwöbel (Cosmologic), Lucia Rackova and Mojmir Mach (both Centre of Experimental Medicine Slovakia).